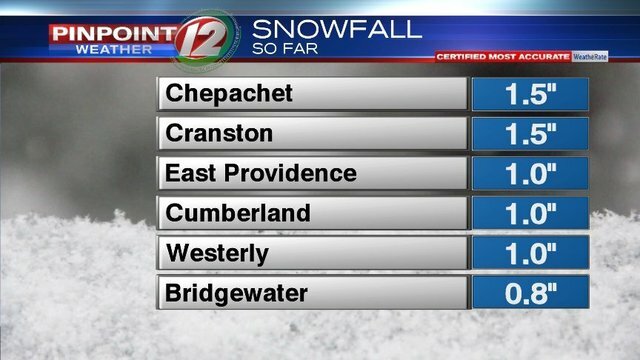 Snow has overspread the area and will continue through the afternoon into the evening. 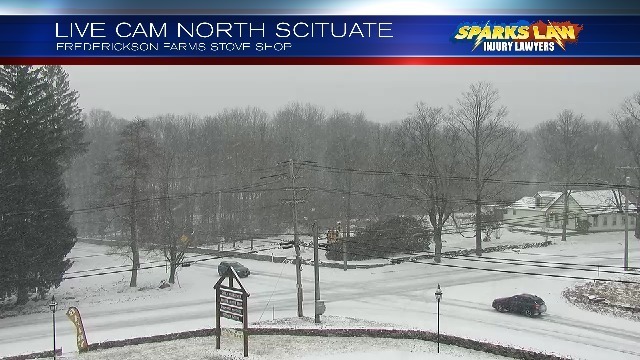 Roads are quickly becoming snow-covered and slick. Please use extra caution while driving! 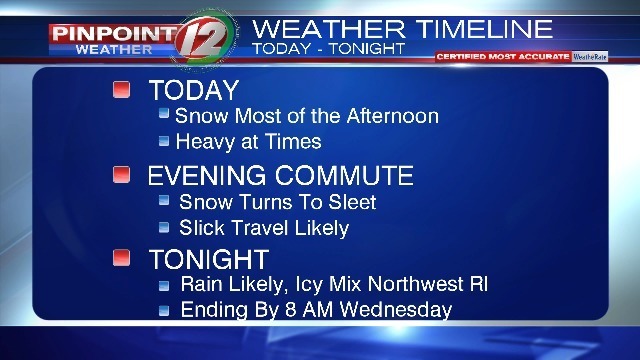 Sleet takes over from south to north during the evening commute (5-7PM) then turns to all rain later in the evening; although an icy mix may linger in northwest Rhode Island. 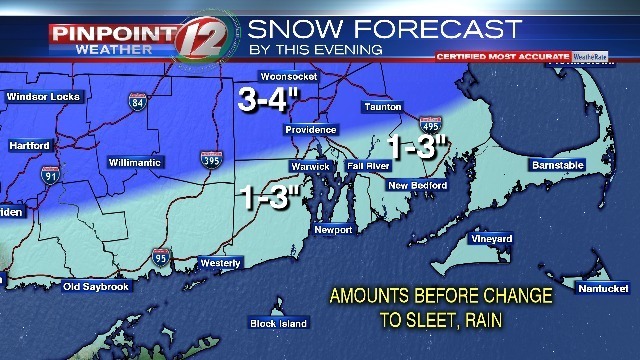 Before that changeover to sleet, we’re expecting 1-3″ across the area, but higher amounts are aniticpated north of a Providence – Taunton line. 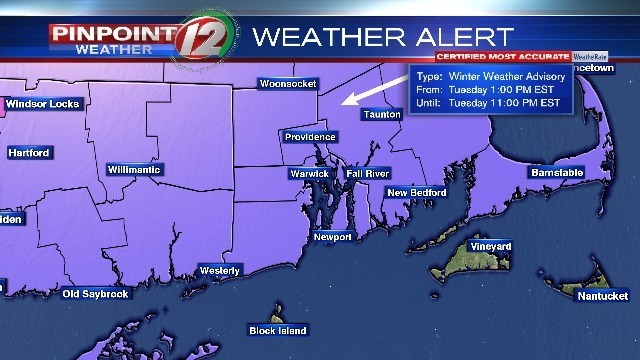 A Winter Weather Advisory continues through the evening for slick roads due to snow, sleet and freezing rain. Next articleWeather-related delays and closures for Tuesday, Feb. 12.